Johnny Johnson moved to Erie in 1969, and he's been working ever since to make the city a better place to live. Johnny Johnson. When I first heard that name, I immediately thought of Chuck Berry and his hit song "Johnny B. Goode" (Berry got the name "Johnny" from another Johnnie Johnson, a piano player who collaborated with Berry on many songs). So, when my editor asked me to interview him, and me being a piano player, I figured I was already going to like the guy based solely on my random bit of useless knowledge. Because, that makes total sense. And although I would come to find out that Johnny Johnson didn't necessarily have a life rich in music—shocking, I know—I did find out he has one very abundant in history and educating children. And to combine the two has been his rewarding mission that he plans on continuing until his very last day on Earth. Johnny Johnson was born and raised in Covington, Ga. He is one of five children. Both his parents believed strongly in education even though his mother and father only had an 8th grade and a 3rd grade education, respectively. "My parents used to tell me, if you're going to accomplish anything in this world, it's going to be through education." Johnson tells me this as I'm sitting across from him in Panera in Yorktown Center on a relatively busy Thursday afternoon. Johnson's presence is strong but kind. I immediately thought of Johnny Cash as he greeted me—because of course, he was dressed entirely in black. And although he towers over me, his looming presence is softened by his kind eyes and quiet voice. He also uses his hands when he speaks. And, I, being Italian (okay, okay: half Italian), ignorantly thought that was a trait only we possessed. And I would learn quickly, even in the age of retirement, he is as busy as a young professional just starting out their career in this world. "I moved to Erie in 1969 during the time they had racial trouble in the city," Johnson tells me. "They needed African American teachers and they recruited some of us from the south." Johnson started at Strong Vincent High School but would also cover a gamut of schools locally, teaching health and physical education at what once was Twin Tech High School, then Wayne Middle School and then Wilson Middle School. "I ultimately went back to Strong Vincent in 1989 and spent my last 15 years there before I retired." I asked him why he decided to teach health and physical education and if he had participated in any sports in high school or college. "I was an athlete in high school. I played basketball and baseball. I received a basketball scholarship to Savannah State, and I was valedictorian of my class." Johnson wouldn't go to Savannah State though, instead heading off to Clark Atlanta University in Georgia to study physics—not physical education. "There's a lot of places, schools and universities aside, that have 'class' issues. It's not about race. And if you don't fall into a certain class, I believe you don't get treated the same way. When I was in high school, I had a wonderful coach who never hollered or screamed; I also had a wonderful physics teacher who actually was one of the main reasons I initially went into physics." Both of these teachers would help Johnson to transition into college. "But when I got to college, the professors treated people differently. In addition to that, I felt like my coach was always on my back, but I would quickly learn this was the best thing about him. I asked him one day why he was so tough on me and he said, 'Son, if I didn't care a thing about you, I wouldn't say a thing to you.' That statement would have a lasting impact on me throughout the course of my life." 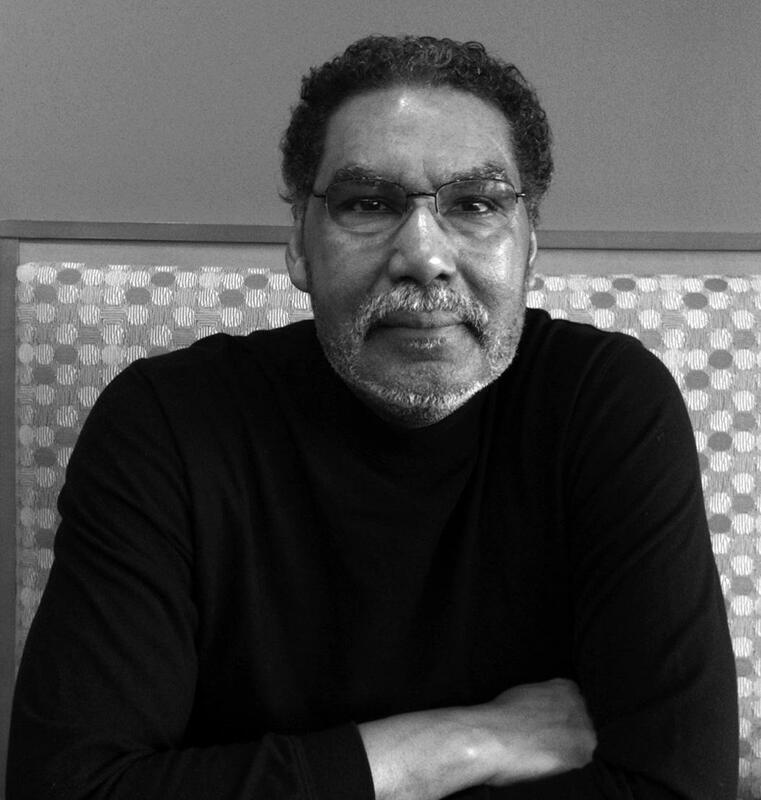 Although Johnson would eventually leave the university for other reasons, he decided to shift his focus and become a teacher—whereafter he would spend the next 42 years in the Erie School District teaching health and physical education and also becoming the first African-American head basketball coach in Erie history. Although, in his decades of experience he believes our school system has become less equitable over the years. He told me, "I'm talking equity here—not equality. When I first started teaching, you could get the same education whether you went to Strong Vincent, Central or Montessori—today, that sadly just isn't true." Although he fought that issue and others for decades, he ultimately retired in 2004. But he wasn't done yet. "I wanted to give back to the community. So, I decided to start an organization called, 'Helping you, Helping me.' The mission of the organization is to help youth, senior citizens and others by furthering and fostering education. I called it that because I believe that by helping you, I am also equally helping myself." Through this organization, Johnson started a program called "Road to Success" in the Erie School District. "We ran this program until 2010 at Wilson Junior High School; it was offered to 6th graders. It was a peer-learning program that paired high school students from four area schools alongside 6th graders at Wilson Middle School." The curriculum consisted of modules in leadership, respect, self-esteem and others. "Although the program was successful, it didn't have the funds to sustain it, much like many other programs and schools in our area unfortunately." Again, Johnson didn't stop there. He would ultimately go on to develop the first black history month youth forum and the first black history month spelling bee for 6th to 8th graders. "Being an educator I do believe I know what kids need. I played sports and I loved them, but you don't capture kids through the physical—you capture them through the intellectual. So, that's why I started this spelling bee. We had it just the other weekend, and any child was invited to be part of it. But you had to do more than spell the words, and since all the words were relative to Black History month, you also had to offer a definition of the historical impact of the word. It was truly a great success." Yet again—as if that wasn't enough—Johnson recently began self-publishing a newsletter called the The Erie Voice, a start-up African-American newsletter intended to educate, inform, and uplift Erie's African-American community. "For the last 10 to 15 years, I've always had an idea that the African-American community should have something that embodied them—we have a diverse community, but very little representation of it." Johnson also believes in the power of printed media and over the years believes it has definitely served a purpose. "Because of this, I started it out of my home and I'm currently working on my third issue. I print about 300-400 papers each time, and I deliver them to various outlets in the city. All I ask is that once someone's done reading it, they pass it along—don't keep it. And if all my paper ever does is stimulate conversation, then it's served its purpose." And as if that's not enough—last time, I promise!—Johnson's been married for 42 years now. And in this day and age, that's a blessed feat all in itself. "I jokingly tell kids when you see people married for that long, you need to shake their hands. Marriage has worked well for me. I have a wonderful wife who supports me and I support her." They have also raised two children, a daughter who is a psychiatrist and professor and a son who is a computer engineer. Add to that, they are not only grandparents, but great-grandparents as well. But even with all the blessings Johnson has had in his life, one thing's still for certain —he believes there is still far more work to be done. "I tell young people all the time, all my life I've been taught by people who've stepped up. And many of us just don't do that these days. We as a community are great at identifying the problems—poverty, education, crime—but we haven't found a good way to solve them. The Civil Rights movement was a great movement because it combined the people. But starting in the '70s and '80s we became a 'what about me' nation. We lost touch with where we were heading because we started living in the past and not moving towards the future. And we ultimately divided ourselves once again. Today, people think 'better' is about them; no, 'better' is about us. We need to prioritize as a community and as a nation, what direction we need to start moving in. We need to let go of the past, leave it behind and start working towards a future that is better for all of us. No matter color or class, we need to be a community and nation united and we need make tomorrow better than today." Although I joked earlier about the hopeful connection to Chuck Berry, I do wonder—given all that I know about this man's life—that if Berry hadn't actually known this particular Johnny Johnson – if he wouldn't have served as inspiration for his music as well.